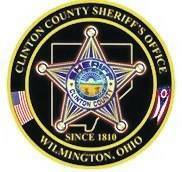 • At 6:06 a.m. on Oct. 13, a 27-year-old Wilmington male reported his vehicle was stolen. The vehicle — a white 2014 Hyundai CP — found in a field across on Dailey Road in Wilmington. • At 9:33 a.m. on Oct. 15, deputies located suspected drugs on a subject during an incident at the 300 block of West Main Street in Clarksville. According to the report, five unknown blue pills and half a white unknown pill were located on the subject. • At 2:18 a.m. on Oct. 16, during a traffic stop for fictitious plates in Jefferson Township area, narcotics were located in the vehicle. The report lists “a bag with crystal substance” as what was seized. • At 4:36 a.m. on Oct. 16, a 57-year-old Wilmington female reported her husband threw a chair at her during a dispute at their resident on Inwood Road. The report indicates she had apparent minor injuries.